Keeping Canada Alive is a new TV series featuring emotionally charged stories, from an infant with a hole in his heart to a wife caring for the love of her life who has Alzheimer's disease, all taking place over a 24-hour period. The show premieres tonight at 9 p.m. in all time zones (9:30 p.m. NT) on CBC-TV. Keeping Canada Alive is a new TV series featuring emotionally charged stories, from an infant with a hole in his heart to a wife caring for the love of her life who has Alzheimer's disease, all taking place over a 24-hour period. 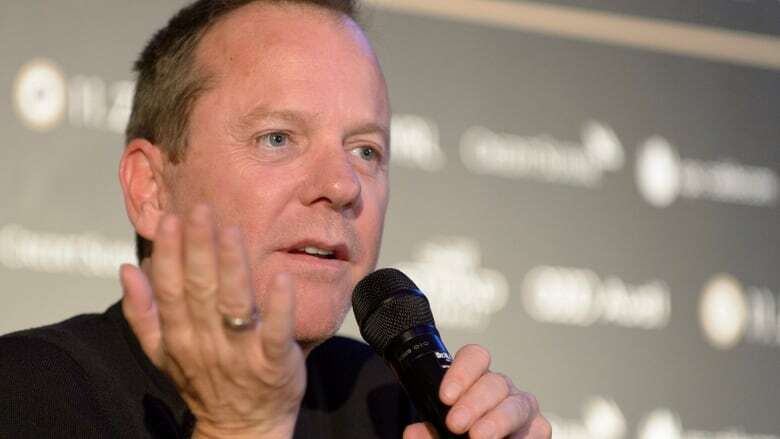 Emmy Award-winning Canadian actor Kiefer Sutherland narrates the six, one-hour factual episodes. The show premieres Sunday, Oct. 4, at 9 p.m. in all time zones (9:30 p.m. NT) on CBC-TV. It is an intimate look at patients and their families at a vulnerable time in their lives as doctors, nurses, therapists and other health-care professionals do everything they can to offer care. The series was shot over a single 24-hour period by 60 camera crews at hospitals, clinics and homes from coast to coast to coast. A three-month-old baby boy in Vancouver gets a hole in his heart repaired as his parents anxiously wait for news on the surgery. A 28-year-old in Toronto whose neck was broken during a recreational hockey game works tirelessly through his painful rehabilitation to defy the odds and walk again. A 73-year-old woman lovingly cares for her husband with Alzhiemer's disease at home. A teenage girl receives laser treatment for severe burn scars. Paramedics rush an 85-year-old man in Charlottetown to hospital suspecting he has had a stroke. A nurse at a clinic in Labrador with no on-site doctor turns to Rosie the Robot technology for a doctor's consult. "They are such a wide variety of stories. There are many that are very suspenseful. There are others that are achingly intimate and emotional," said Dianna Bodnar, the creative producer of the series. "It really does have ups and downs and hills and valleys. And in context of those very personal stories, there's also fantastic information and facts and news of technological innovations." The extensive website for the series includes many more stories from a customizable, 24-hour stream of raw footage.